What is a lasting power of attorney? Once you’ve arranged power of attorney, you’ll have greater peace of mind when it comes to care matters. We’ll talk you through it in this guide. Imagine you’ve not established a lasting power of attorney, and you suddenly lose mental capacity. What would happen to your finances and property? Who would decide on your health and wellbeing? A lasting power of attorney can smooth the process of deciding on these issues. We can help you learn how to arrange power of attorney today. Many people find the legal concept of power of attorney daunting, particularly when it comes up during urgent discussions about a loved one’s health and wellbeing. To others, it’s just one aspect of forward planning for possible life events. Wherever you fall on that spectrum, try not to feel overwhelmed. As you gain a deeper knowledge of what a lasting power of attorney is you’ll be able to use it in certain situations to improve the process of deciding on questions related to health and wellbeing, as well as finance and property. This information aims to guide people who are considering the best way to start the legal process ensuring power of attorney, and what to be aware of along the way. To understand what power of attorney is, let’s begin by discussing the legal document known as a lasting power of attorney, or LPA. This is the document you need to complete in order to designate one or more representatives to serve as power of attorney. An LPA allows you to appoint one or more people as attorneys who can be called upon to help with your affairs if you become mentally incapacitated as a result of severe illness or accident. In October of 2017, the LPA framework replaced the Enduring Power of Attorney (EPA) framework. EPAs are still valid legal documents, but an EPA must be registered when the person loses capacity. Your chosen advocate should only ever make a choice for you if you are unable to make that decision when it needs to be taken. There are two categories of power of attorney: one relates to property and financial affairs, while the other pertains to health and welfare. Both involve similar processes. It’s important to note, however, that each type of attorney uses separate legal procedures with independent documents. Power of attorney for property and financial affairs: The first type of attorney can help manage affairs related to finance and property. Power of attorney for health and welfare: The second type of attorney can help decide upon matters related to health and welfare. This attorney can decide upon medical or care issues on your behalf. ​You can have one person who covers both welfare and financial matters, or you can appoint different attorneys to each. If you appoint a joint attorney, you should also name a substitute attorney in the event that your first choice cannot continue. In Scotland, you can opt to combine both types of power of attorney — finance and property, alongside health and welfare — into one role. For more information on how power of attorney operates within Scotland, visit http://www.publicguardian-scotland.gov.uk. Before you start the power of attorney process, which involves submitting a power of attorney form, you’ll need to decide whether to hire a solicitor or go it alone. If you’re at all unsure about proceeding, a solicitor should be consulted. Doing the paperwork yourself may save on the legal fees, but you’ll be responsible for completing the documents to a high standard. Failure to complete the paperwork in the correct manner could cause issues if or when you need a power of attorney form is considered to decide upon your care. You may wish to consult Citizens Advice before completing the paperwork on your own. 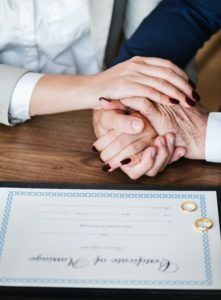 In England and Wales, when you make a power of attorney, you require what’s known as a certificate provider to confirm you’re capable of making this decision. This person cannot be a family member. The certificate provider needs to be a person with relevant professional skills, such as a doctor, lawyer or social worker. Alternatively, you can also invite someone you’ve known for at least two years. If you live in Scotland, the certificate provider must be either a doctor or a solicitor who is registered to practice law in Scotland. In Northern Ireland, you do not need a certificate provider. Once completed by you or your solicitor, the documents will be ready for legal registration, which usually takes about eight weeks. The cost of registering a lasting power of attorney differs across the UK and is charged per document, so you would need to pay for two registrations to cover finance and property, as well as health and wellbeing. There may be additional legal fees for preparing the documents. The registration fee is reduced for people earning less than £12,000 per year. I’m still young — why should I worry about having a lasting power of attorney in place? Accidents and illness can affect anyone at any time. With that in mind, arranging power of attorney is something that all adults should do, ideally while in good health. Anyone over the age of 18 can appoint a power of attorney. Imagine you’ve not established a lasting power of attorney, and you suddenly experience a devastating accident or illness, causing you to lose mental capacity. What happens next with your care? How about your property? Your financial assets? In this situation, your loved ones would have to apply through the courts before any major decision is taken on your health and wellbeing. This can be a lengthy and highly stressful process. Delayed while the courts consider your situation, the decision-making process can take an extraordinary toll on yourself and loved ones. Thankfully, this kind of worst-case scenario can be mitigated by appointing a power of attorney in advance.